A schematic showing the inner components of his modular, fully automated plastics-to-fuel processing plant. 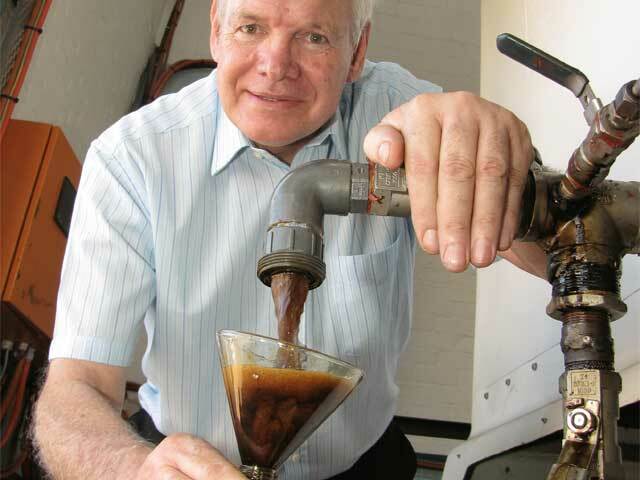 Fuelling the revolution: William Graham’s invention makes problematic waste part of the solution. Convert waste plastics and old tyres into a variety of fuels to power our modern lifestyles? You’d better believe it. 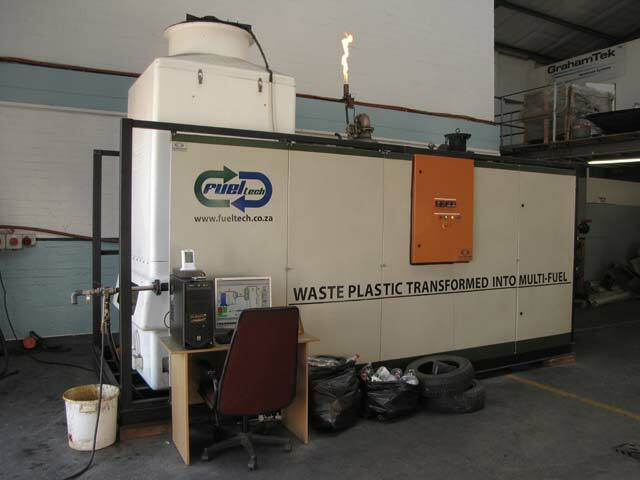 This game-changing process – brainchild of Western Cape inventor William Graham – finally gives us the tools to wage war on non-degradable waste, and win. 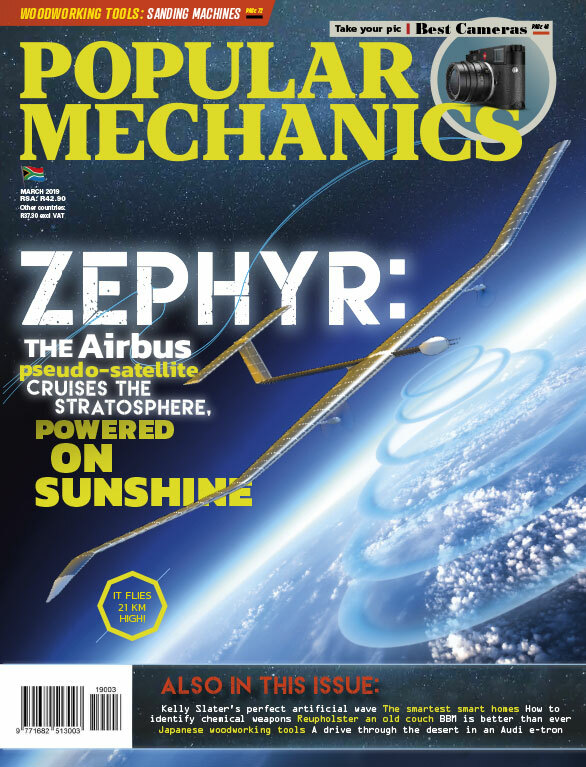 When we think of home-grown tech heavyweights, names such as SpaceX’s Elon Musk and space tourist Mark Shuttleworth immediately spring to mind. For reasons that make perfect sense, these guys capture a fair slice of the limelight – but make no mistake, they’re not the only show in town. In reality, South Africa produces a good number of modest geniuses, some of them sharply focused on solving the burning issues of the day. Somerset West resident William Graham is definitely one of these. 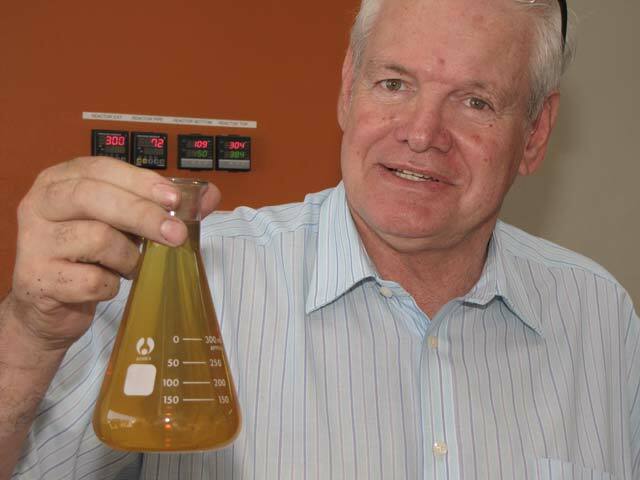 Graham first appeared on PM’s radar back in mid-2005, when we heard about his reverse osmosis desalination system (our article describing his work was published in June that year). His revolutionary approach to the production of fresh drinking water dramatically reduced the costs, both financially and environmentally, to the point where it became a practical alternative for thirsty regions such as ours. Needless to say, the Middle East welcomed him with open arms. Today, about 100 water plants worldwide use his technology, and the largest, in Singapore, produces a staggering 55 million litres of drinking water each day. Amazingly, despite his international success and solid inventor credentials, Graham remains largely unknown in his own country – until now. The introduction of his modular, fully automated plastics-to-fuel processing plant is about to make some very influential people, and very large businesses, sit up and take notice. The beauty of Graham’s patented system is that it can accommodate all types of plastics (except PVC, because of its chlorine content) as well as vehicle tyres. Even that environmental baddie, polystyrene foam – used in takeaway containers and gadget packaging – can be used as feedstock. 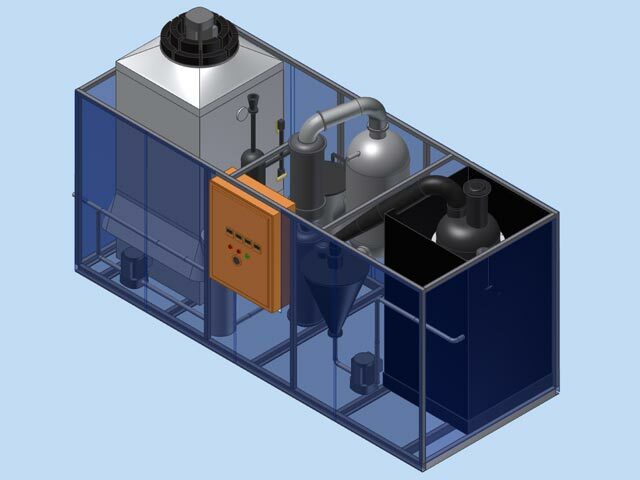 Its modular nature means it can be rigged into a container for easy transport to the feedstock, and start producing fuel virtually upon arrival. It’s also scalable, so accommodating specific load requirements is a breeze. And here’s the amazing thing: no chemical catalysers need be added to the mix – a world first, not to mention a truly remarkable achievement. The plant produces a multi-fuel chemically similar to diesel (apparently the law prohibits Graham from using the “d” word) that can, in turn, be further refined into a petrol equivalent. Oh, and by-products (depending on the feedstock) include paraffin and LP gas. It also produces a type of clean “sweet crude” with a zero CO2 content that can be processed in diverse ways. To give you an idea: the sulphur content and viscosity levels of Graham’s marine bunker oil are below standard industry norms, while his heavy furnace oil (used in high-volume industrial heat fuel applications) is equally impressive. 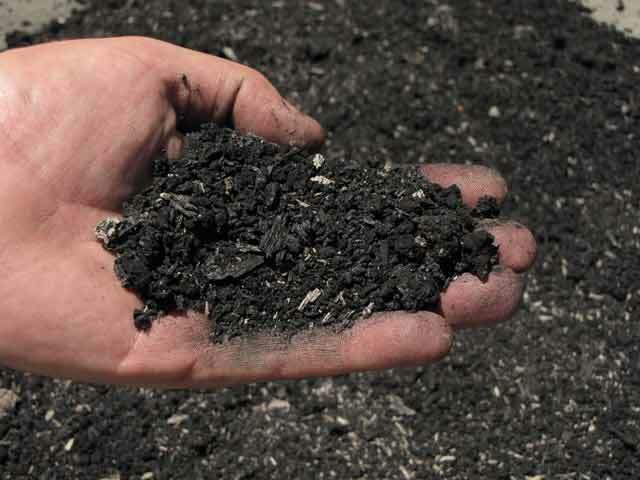 Heck, even the system waste has value: it can be converted to charcoal. Talk about taking waste and giving it value! A critical challenge was to work out a way to remove all the nasty chemicals from the mix while ensuring that gas emissions from the plant remained at zero. Graham came up with a three-tier solution: first, he constructed a three-chambered reactor. This allowed him to control the time duration, pressure levels and temperatures of all the gases as they passed through the various stages. Devising a novel cleaning process for hydrocarbon gases was next. Lastly, he developed a mechanical catalyser (something no one else has managed to achieve). Once he was happy, he secured patents for the lot. Not surprisingly, Graham didn’t want to give away too many secrets, but basically, here’s how it works: feedstock is first passed into the reactor’s bottom chamber, where it’s placed in a vacuum to prevent combustion. At a certain temperature, it’s transformed into a liquid; the trapped hydrocarbons are then released in vapour form and migrate to the second chamber. This “heavy” vapour (so called because of its large carbon molecules) then goes through a similar process before entering the third and final chamber. Finally, a much lighter gas exits the reactor. Left to liquefy, this is Graham’s “sweet crude”. Everyone we know is alarmed about the relentless increases in electricity tariffs. Not Graham. Ever since his pilot plant came online late last year, his factory’s Eskom bill has more than halved. 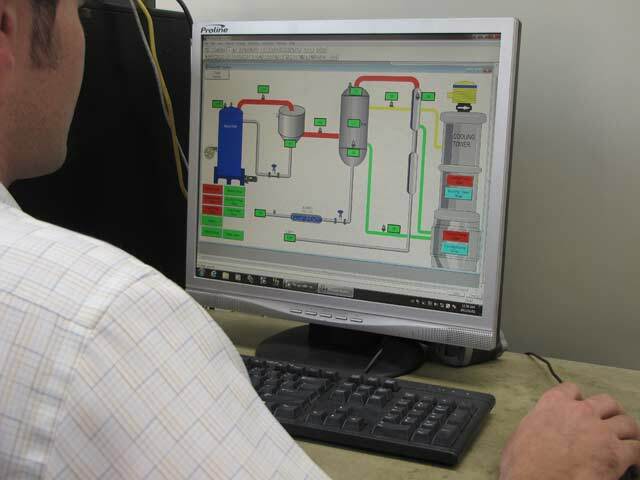 Just 5 litres of its own multi-fuel is required to activate the system, and once up and running, the plant sustains itself. It goes on to produce two 120-litre batches of ridiculously cheap fuel per day. 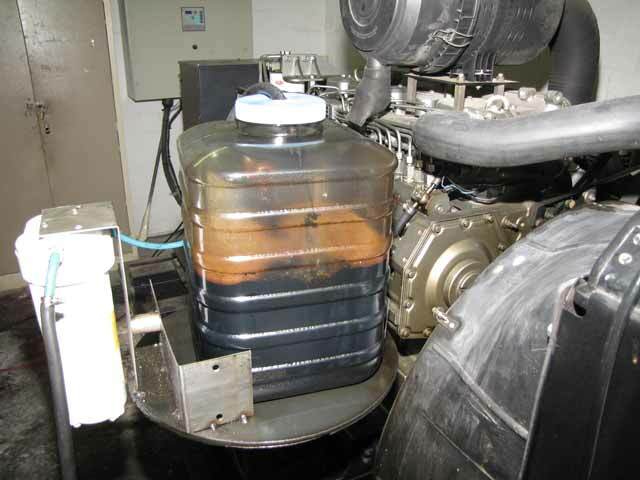 The dark, coffee-coloured multi-fuel is fed directly to the on-site 150 kVA diesel generator which, in turn, powers the factory. Any excess fuel is used to run the company’s diesel bakkie. The financial significance of that simple statement boggles the mind: according to Graham, for every kilogram of raw plastic/tyre waste he feeds in, he can extract as much as 900 ml of multi-fuel. On top of that, (again, depending on the feedstock) he gets paraffin and bottleable LP gas. If he likes, he can even convert the waste produced by the process into saleable charcoal. And his all-up costs for producing 1 litre of multifuel? About R2,50. He’s also negotiating with one of the big furnace users, pointing out that “they burn millions of litres of fuel per month”. The auto industry has also expressed strong interest, as have mining companies in Botswana. Says Graham: “There are around 35 of these, all of which run their operations on generators and import their fuel from South Africa. Having done his homework, Graham is looking at several economic models. He expects big industry to buy and operate custom-designed plants directly. In return, he’ll provide all servicing, remote monitoring and regular tech upgrades. The volumes of non-biodegradable waste clogging our landfills and littering the countryside are staggering. It’s said the average home generates about 1 ton of plastic waste each year. Multiply that by about 30 million and you start seeing the bigger picture. Then there’s the fact that only about 18 per cent of dumped plastic ever gets recycled. Well-managed landfills work, but to do so, they need to avoid non-biodegradable plastics. That’s because, aside from adding unnecessary bulk to an already overburdened system, they also mess with the natural breakdown of legitimate waste. Because many plastics, along with vehicle tyres, can no longer be legally disposed of, many manufacturers face a serious dilemma. The result: massive stockpiles of accumulating waste that, with nowhere else to go, are slowly encroaching into our rural landscape – all while officialdom scratches its head, trying to work out what to do with the stuff. According to Graham, some manufacturers have resorted to loading their cut-offs and similar waste into containers and shipping it to China. Then there’s the tyre issue: not only do about 11 million of these (that’s about 200 000 tons’ worth) get scrapped each year, but our national stockpile already totals 60-plus million. Of that, only 5 per cent are recycled.